Can you say winner, winner chicken dinner??? I mean, I know that is so cliché (and cheesy!! ), but it’s true. This one pot chicken dinner is everything. And it’s a 30-minute, no fuss, kind of chicken dinner. SCORE. So even though all the colors of this dish look like Christmas, it’s really all about everything summer. I mean you can definitely make this come December, BUT you surely will not be getting those gorgeous heirloom tomatoes, which I clearly cannot get enough of. Got to eat them while they are here, ya know?? Also, is it crazy that I still have recipes ideas for tomatoes?? 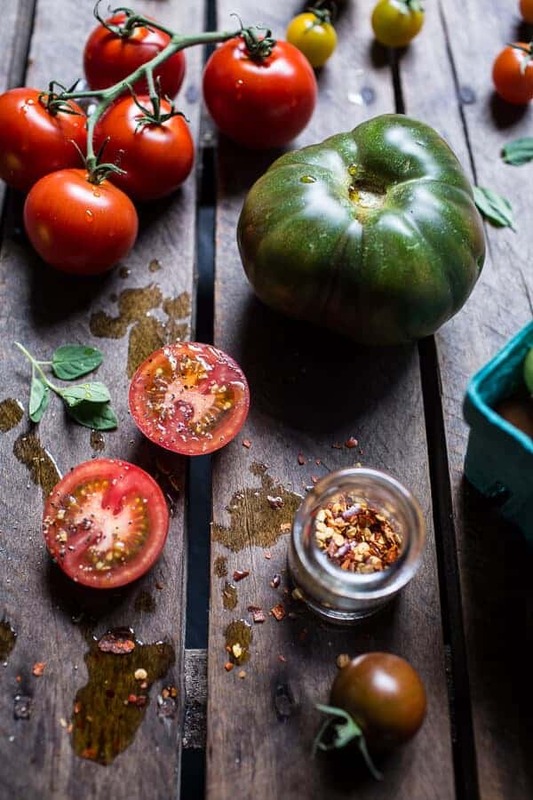 I have already made so many tomato recipes, but yet my August recipe list is packed to the brim with tomatoes, corn and zucchini recipes, all of which I am kind of excited about. 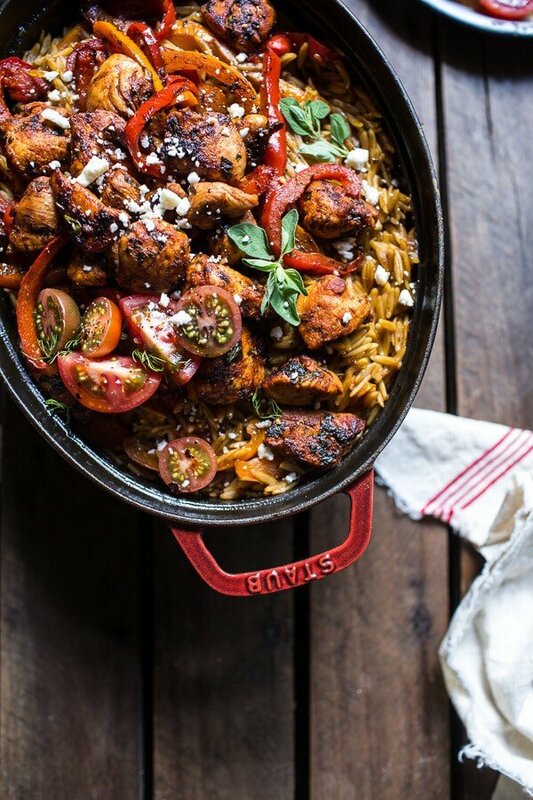 So this one-pot Greek oregano chicken and orzo is so perfect for a quick summer dinner. Everything gets cooked in the same pot (clearly I am partial to all my Staub pots) and the flavors are spot on. Plus, the feta pretty much seals the deal, don’t you think? Life with feta = happiness. I am not really sure how people feel about oregano, but I am loving it this summer. Normally I am ALL about basil. I love, love basil, it’s probably one of my favorite herbs, but lately I have been feeling the need to branch out a little and experiment with different herbs. I’m sure you all are no stranger to oregano, but personally, I have not used it as a main flavor component in my recipes. Today I’m changing all that and really letting the oregano shine. I didn’t use an ounce of basil AND surprisingly, I didn’t even miss it. 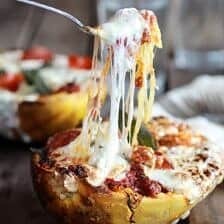 Do not get me wrong, I am sure a hand full of fresh basil in this would be amazing, but the fresh oregano really does an awesome job on its own of adding just the right amount of great Greek inspired flavor. Sometimes oregano can be overpowering, but when paired with this chicken, some balsamic vinegar and smoked paprika, it was perfect. And umm, those bell peppers are also pretty delicious. I love sautéed and/or roasted bell peppers. My dad puts them on top of his pasta dishes and I swear I could just eat the peppers. They are my favorite part!! Oh and that orzo? Originally, I was inspired by Bon Appetit to make an Oregano Grilled Chicken dish, but I just keep thinking to myself “where are the carbs? 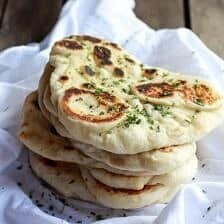 This recipes feel boring without carbs”. Yup, that is totally how my brain works. Some people might be like, just add lettuce and call it day… but me – I add carbs! I like to think I am a pretty smart cookie for thinking this way. 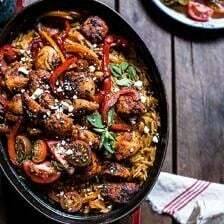 Plus, the orzo takes on a risotto-like texture since it gets cooked in with the chicken and peppers. I promise, it is some of the best orzo you will eat. No really. 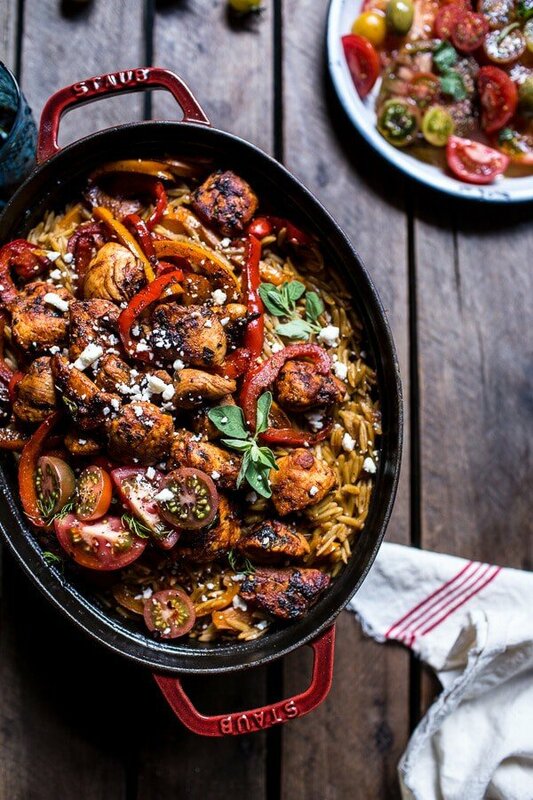 One-Pot Greek Oregano Chicken and Orzo with Tomatoes in Garlic Oil. It's a 30-minute, no fuss, kind of chicken dinner. SCORE. Just don’t skimp on the feta, like I said, it seals the deal! One pot dishes are perfect this time of year – okay anytime this year. 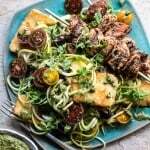 And I am a big oregano fan that thinks it never gets enough credit so I am all over this dish! 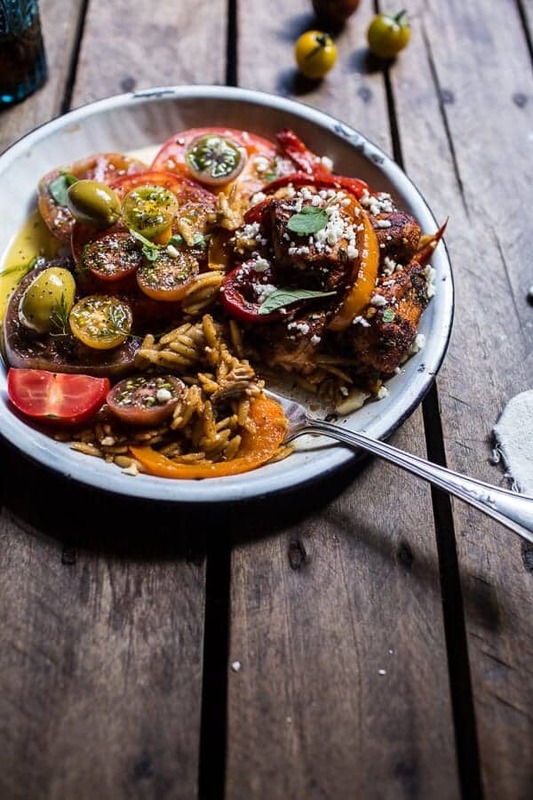 I am not a fan of orzo, but my six year old is, so I already have this one stored away to reproduce soon as can be, as I am sure he will be licking juices of his plate, it is so up his alley: orzo, chicken, tomatoes and oregano? THe boy is in!! 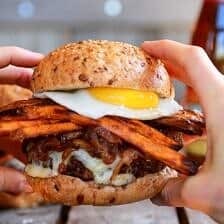 This looks great , I’m going to make it soon. Our health food store sells a delicious orzo . This looks really good. I am planning on making this next week. I have a question: How much of the oil do I pour over the tomatoes? Thank you so much. Have a nice day. Thank you for your recipes, I love them!! This looks so tasty and I already have 95% of the ingredients! Guess I know what is for dinner tonight. Thanks for such a beautiful recipe! I need more simple summer recipes in my life. 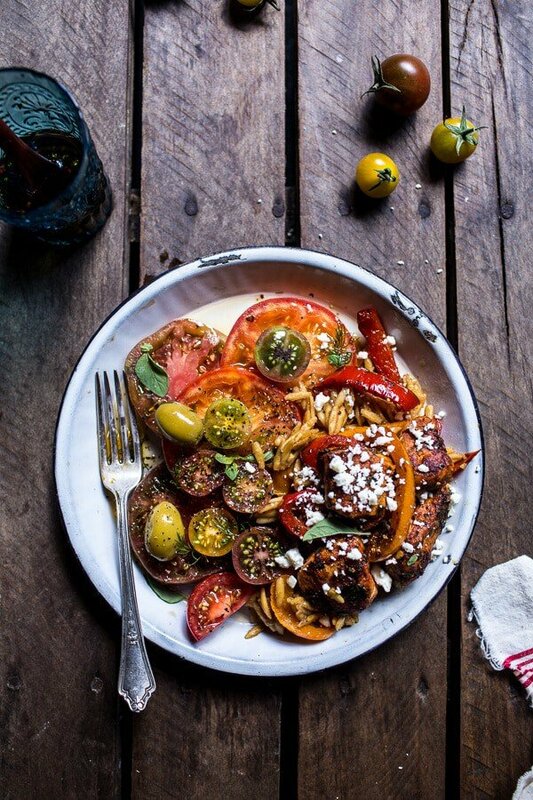 Also, can I just say you have the best tomato recipes/photos on the internet!! I’m giddy to see what you have coming up for the rest of the summer. This looks so heavenly! And I love that it only takes 30 minutes. You’re the go-to girl for summer produce recipes! I’ve saved this recipe and I can’t wait to try it. Hi, I love your one-pot dinners. We made the ravioli with pistachio butter last night, and it was delicious. This recipe, a question about the oil: did you strain it before storing in the fridge? This recipe made my day. I have all of the ingredients and I don’t have to turn on the oven? I am all over this one! This is beautiful! I love how colorful the plate looks–so tasty! Yes please! 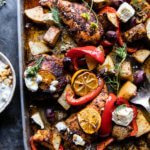 One pot plus all those amazing Greek flavors is my dream! Nike has, “Just do it” You should have, “just add carbs”! And I am totally in for that! This looks great, as usual. 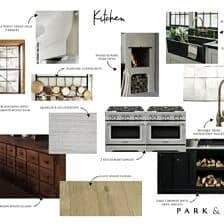 OMG, it’s like midnight and I was just wondering what I should make for dinner on Friday night (being the foodie I am). 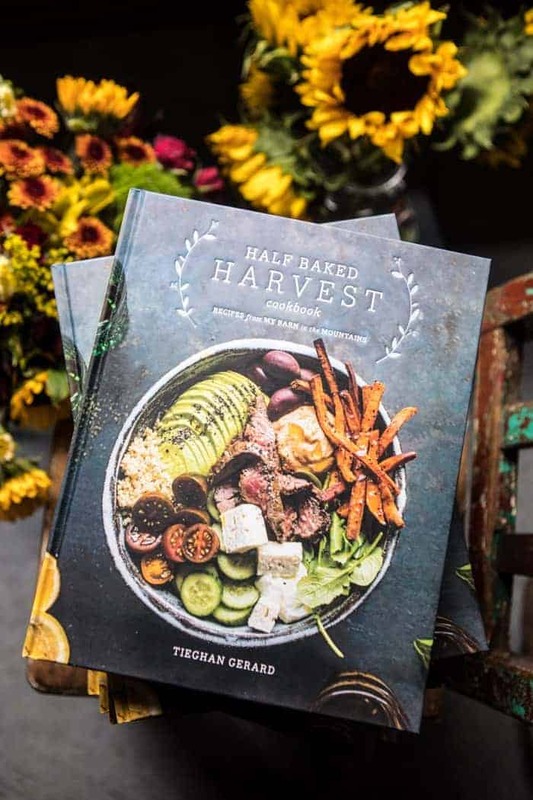 I was browsing the web for 30 minutes meals and then I was like “HM I wonder if Tieghan’s got anything” AND THEN I came to your page and you just posted this! Haha, that’s my story of the night. 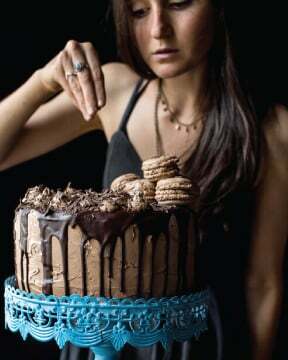 Anyway, I will be making this tomorrow night for my bf and I so I shall keep you posted on how it turns out! 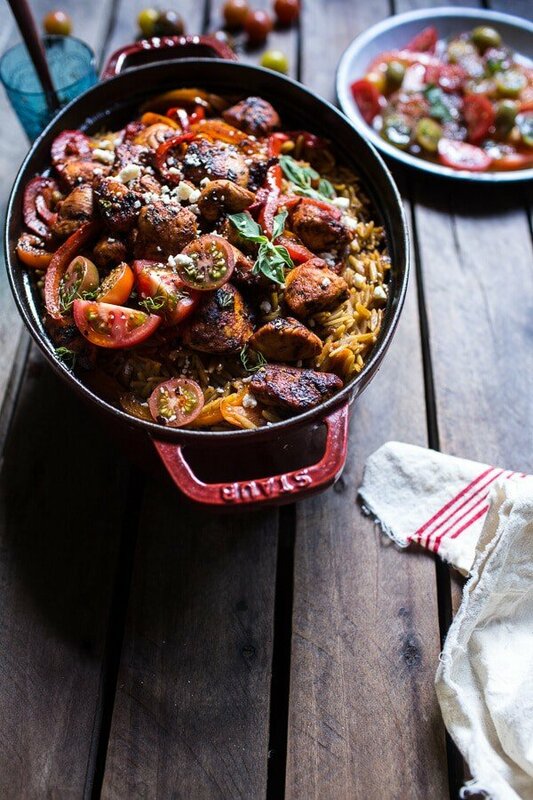 This looks so tasty…Love the one pot idea ! I keep coming back to look at this recipe–I haven’t been cooking lately. It’s just easier for a single person to eat out and since it’s summer I can eat outside. But I really want to make this recipe but first I need to get to the farmers market for tomatoes and I do like oregano. Agreed. Life with feta sure does equal happiness. Immense happiness. 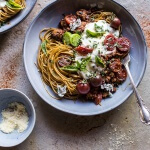 Such a simple and easy dish and yet so packed with flavour and colour. Definitely trying this one! Tieghan, this looks amazing! Like summertime comfort…and it’s raining here, so automatically I want big bowls of comfort (and carbs). Also, feta…anytime. I am so delighted with your blog. This chicken was fabulous! I varied with a pasta I had on hand and it was still awesome. It passed the taste buds of my 17 year old foodie son with panache! Awe!! Thank you so much!! That makes me so happy you enjoyed this! I just made my son’s favorite one pot chicken dish tonight and was thinking…I wonder what else I can do in one pot w/chicken that I could add to my rotation. This Greek Gurl thanks you ever so much! I am going to try it soon! 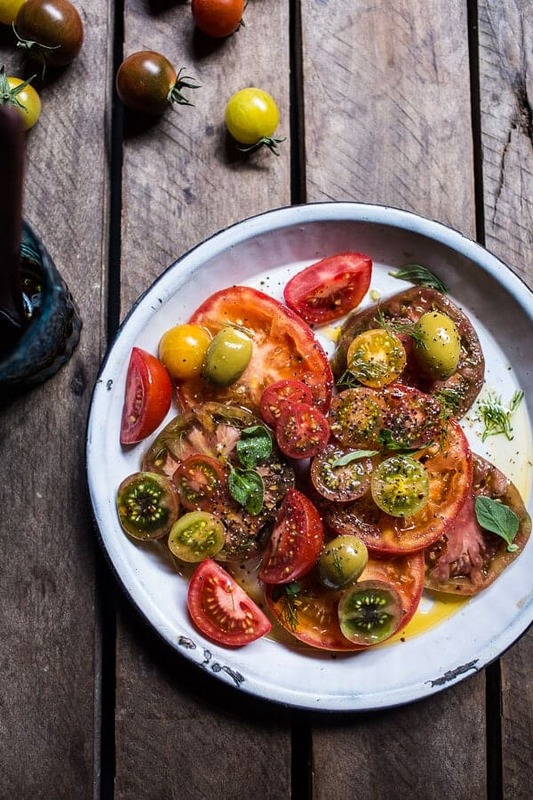 Have you ever seen heirloom stuffing tomatoes? I am on the lookout for those. The chili oil we tried to make didn’t turn out. Followed the directions but ended up with burnt garlic and a burnt tasting oil with an overwhelming amount of chili flakes. We simmered the oil on low heat. I’m wondering if 20 minutes was too long?!?! Anyone else have this issue? I am so sorry about the burnt oil, did you chop the garlic or leave it whole? If you just smash the garlic instead of chopping it, that should take care of the burnt garlic. Also, if you smell the garlic getting a little too cooked, just remove it from the heat early. Again, so sorry, but hope this helps! I’m going to try this recipe tomorrow but should I use sweet or hot smoked paprika ? Whatever you like or have on hand will be fine. Hope you love this! How delightful! Curious, what would be a sensational substitute for Orzo for the gluten intolerant? I would use quinoa. I think that would be great! Made this tonight, and was disappointed. It was quite bland and the flavour of the oregano became lost. The garlic and chilli burnt by the 10 minute mark, even though I only smashed the garlic and had it on the lowest heat possible. Made for an inedible chilli oil. This dish was …delisious I added fresh squeezed lime to the plated dish, it added some acidity. Perfect touch! Glad you liked it Sheila! Thanks! I just made the chicken and orzo tonight. My husband and I really liked the recipe. (My grocery store didn’t have fresh oregano so I used basil, but it still turned out great.). He was surprised the orzo didn’t have cream or something in it.the chicken was moist and had great flavor. The one thing is the constant stirring! Not very fun. But the flavors were delicious. Next time I make it, I’ll do oregano. So happy you made it and liked it! The constant stirring can be annoying :/ Thanks for trying it though! Made this again, loved it again!! Great way to use my vegetable garden miracles. Love all your recipes! This looks absolutely delicious!! I have a gluten intolerance so I was wondering if I could swap the orzo for rice or quinoa? 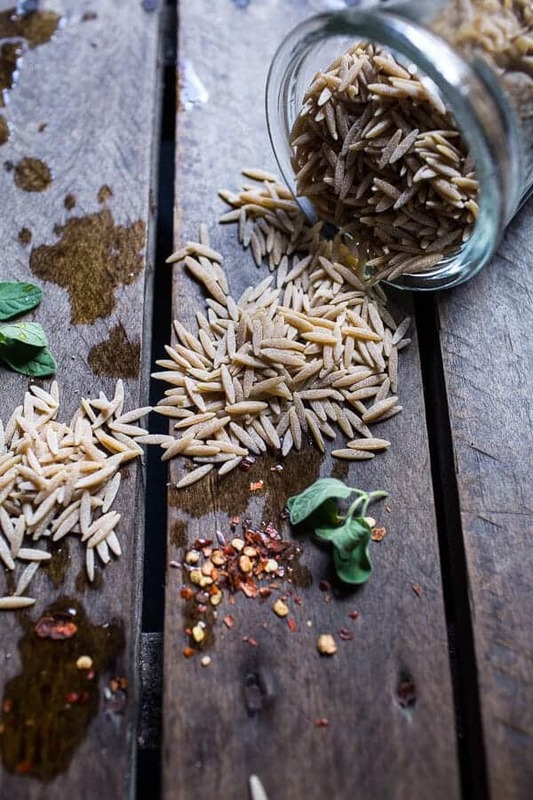 A couple years ago in the comments section on this recipe Tieghan said that a great substitute for orzo would be quinoa, and I agree with her. 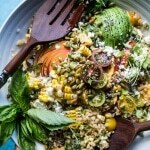 I love quinoa and think it would be great in this recipe. Yes!! Totally agree Joy! Thank you. Hi Ashley! Rice or quinoa would be delicious! Let me know if you have questions! I just made this recipe for dinner for my husband tonight, and it turned out delicious! He loves Greek food. I’m vegetarian so I couldn’t try it, but it was easy to make and looked amazing. We’re already talking about variations — making it with seitan instead of chicken to be vegetarian, or using the chicken marinade for other meats and veggies on the barbecue. Thanks for sharing! Hi Joy!! SO happy it was easy to make and your husband liked it!! It should be delish converted to vegetarian with either substitute! Hope you love it!! made this last night for my hubby and 2 year old. was a smash hit! I too sensed that the oil was getting a little too hot so I just shut off the heat around the 15 minute mark. the smashed garlic pieces came out crispy and quite delicious! I didn’t have fresh tomatoes so actually what I did was chop up about 15 oz of peeled plum tomatoes in a can and threw them in the pot with the chicken at the end. we aren’t big fans of feta so we left it out. hubby and I loved the chili oil but left it off for my toddler who doesn’t usually eat chicken but again made an exception for one of your dishes!! the only tough thing about this recipe is I realize I should not have made it in mid summer!! felt like I was slaving over the stove making a risotto and I was overheating, myself! but that is my own fault. lol. another meal for the regular rotation per hubby’s request. thank you!!! This is so great to hear! I am thrilled you loved this Kristen! Thank you so much! I made the chicken (without the tomatoes or garlic oil) and it was DELICIOUS and super easy! The chicken left delicious spices in the pot that infused the quinoa and peppers as well. This recipe is a keeper! SO happy you liked it Jamie! Its one of my favorites!! Thank you! Yum! Yum! Yum! Made this for hubby and 40yr old visiting daughter. Both loved it and daughter requested a copy to make at home for her family. Thanks, again, Tieghan, for sharing your creative self. That is so amazing! Thank you so much Diana! A question on the crushed red pepper flakes – are these hot as in crushed chilli flakes? Or does the red pepper refer to bell peppers (capsicum)? I’d like to try this recipe but am not sure about this ingredient. Thanks, Jo.